How about a quick Link-Up! 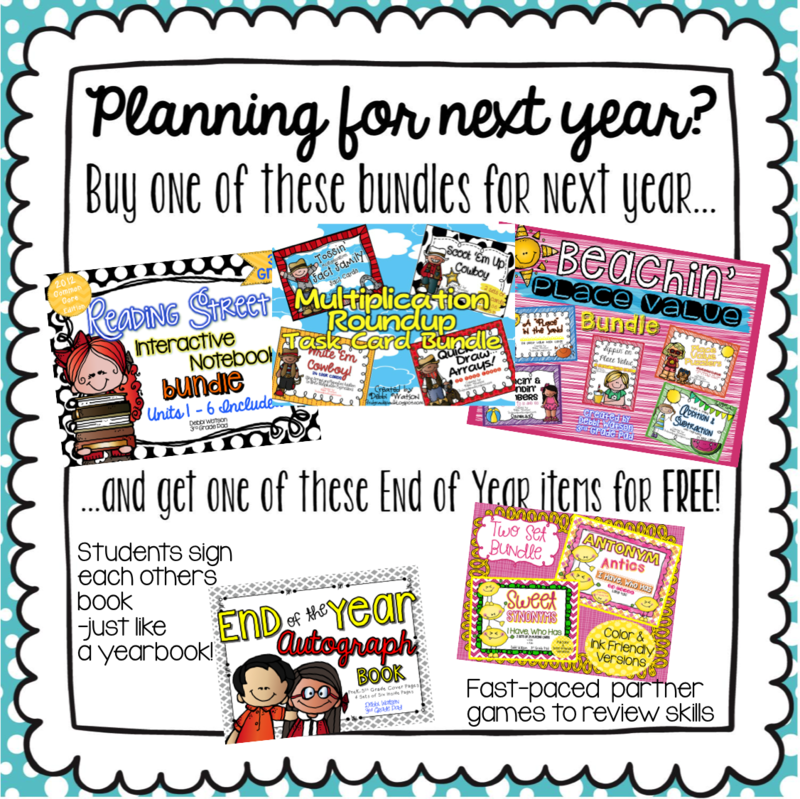 I don't know about you, but I am STILL thinking of all of the new and improved things I want to add to my classroom next year. The beauty of teaching is the fresh "do-over" we get! To help you out, I'm linking up with Amanda at The Primary Gal to share a few of my favorite items in my store you may not know about. Buy now and you can get your items and samples together in time for Back to School!! 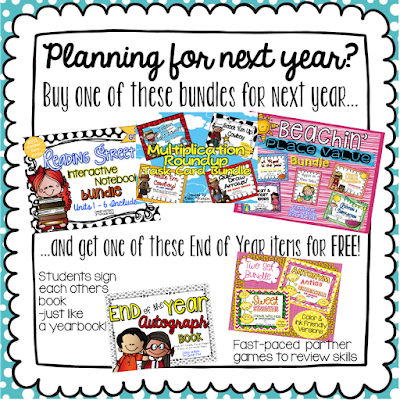 If you can use just one of them and make a purchase- drop me an email at 3rdgradepad@gmail.com, and I will send you your choice of either my latest "End of the Year Autograph Book" or my favorite game style to pull out at the end of the year "Synonyms & Antonyms Bundle: I Have, Who Has". I just don't TRUST them til the end of the year! LOL! You have until Monday May 11th 11:59pm to purchase and email me with this offer! If you started here...be sure to head back to The Primary Gal's post to see a bunch of my bloggy friends who linked up, too! Hope you find something you can use! Debbi Watson at 3rd Grade Pad is participant in the Amazon Services LLC Associates Program, an affiliate advertising program designed to provide a means for us to earn fees by linking to Amazon.com and affiliated sites.